If you’re like me, you’ll be baking up a storm for the holidays. 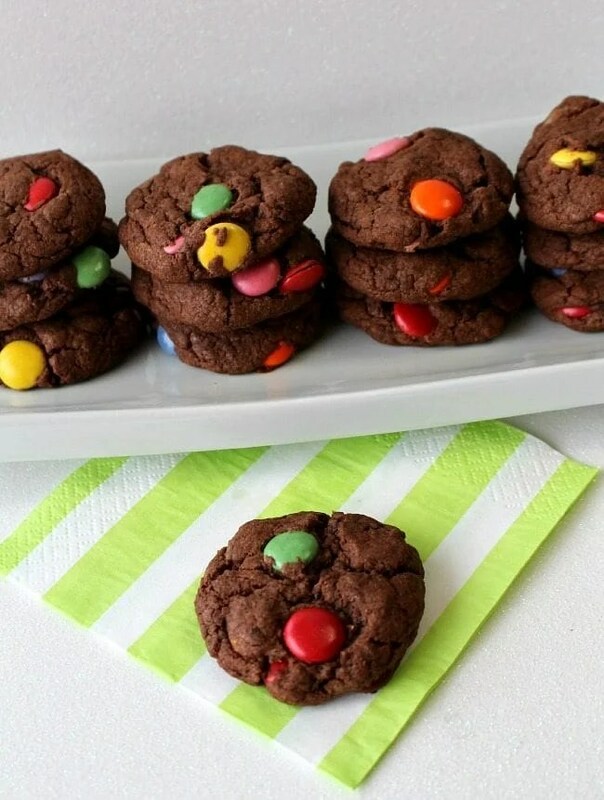 With all the Christmas cookie exchange parties, office gift exchanges and class parties, there are plenty of reasons to try a new cookie recipe this time of year! You’ll definitely want to try these delicious chewy cookies that Santa is sure to love! How do you like your cookies – crunchy or chewy? I prefer chewy, homemade cookies so when I heard people talking about “pudding cookies” I knew it was something I had to try. I have a banana cake recipe that uses banana pudding and it is absolutely delicious so I was sure I’d love pudding cookies as well. 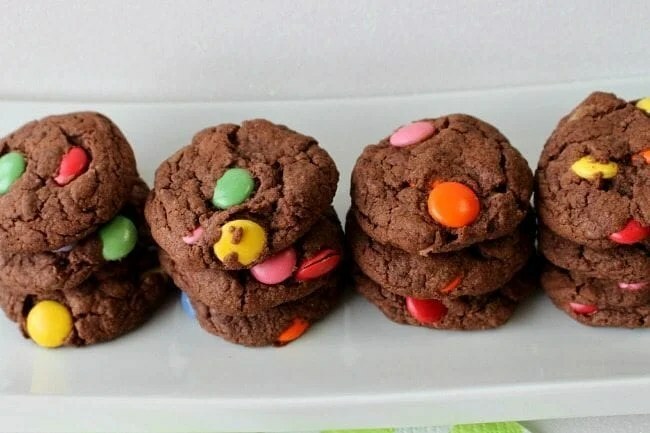 After a bit of Google searching and a peek into my pantry, I came up with these tasty Chocolate Pudding Cookies with chocolate-coated candies. They freeze really well – I know because I froze them so I wouldn’t eat too many but they taste delicious fresh out of the freezer too! In a large bowl, beat butter at medium speed until creamy. Add brown sugar and beat well until mixed. Add flour, baking soda and pudding mix. Beat just until mixed. Drop tablespoon size cookies onto ungreased cookie sheet. If you haven’t finished your Christmas baking yet, these would be great to leave out for Santa! You can find more delicious recipe ideas on the Moms & Munchkins Party Food & Family Recipes page. Thank you Cheryl for sharing this yummy recipe!